Going into Gatun Lake. Photo by MICI. The maximum allowable draft of 11.89 meters will (39.0 feet) in freshwater tropical, effective from April 18, 2016. 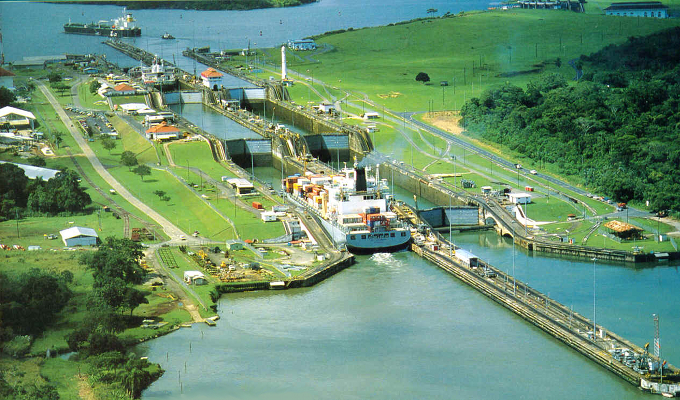 The maximum authorized draft is defined by the deepest point of immersion specific to each ship in Gatun lake. These measures are applied to ensure the continued safe operation of the waterway. Vessels with a greater draft to 11.89 meters (39.0 feet) before or on March 21, will not have to follow the draft restriction, subject to security considerations. Ships loaded after March 21 must comply with the measure. Draft restrictions will be implemented decreasingly 15 centimeters (six inches) with each restriction announced at least four weeks in advance.